(3BL Media/Justmeans) – A growing interest in sustainable investing has encouraged the financial sector to offer more socially responsible mutual funds that are designed to meet the demand. Investors are increasingly looking to put their money behind investments that not only offer a healthy economic return, but also hold true to their personal values. As the menu of sustainable investment options widens, it will help driven even greater interest in sustainable investing. 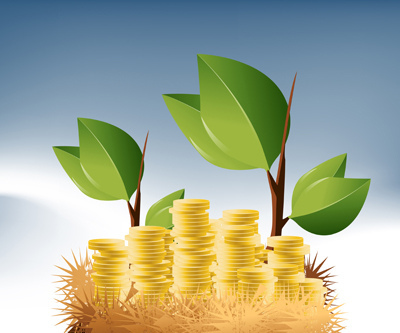 According to the latest data provided by the Forum for Sustainable and Responsible Investment, sustainable mutual funds represented $6.5 trillion at the beginning of 2014. This is a jump of 76 percent in two years, and represents over $1 out of every $6 under professional management in the U.S. The chief executive of Morgan Stanley’s Institute for Sustainable Investing, Audrey Choi, said that this growth is part of a virtuous cycle. Morgan Stanley, which founded the Institute less than two years ago, recently released a survey showing that 71 percent of individual investors are interested in sustainable investing. Younger people are particularly more optimistic and are leading the way in socially responsible investing. Morgan Stanley’s survey revealed concrete evidence about how younger people are translating their beliefs into behavior. They are twice as likely to check product packaging with respect to its environmental footprint and three times as likely to choose a job with a company with a clear position in favor of sustainability. They are twice as likely to drop an investment opportunity if they do not agree with the philosophy. According to analysts, millennials are due to inherit more than $35 trillion of wealth. To address the potential demand for sustainable investing in this segment, the number of sustainable investment products is proliferating. Large, mainstream providers are offering products that factor sustainability into them. Morgan Stanley’s Choi said that the company believes sustainable investing is going to be increasingly pervasive, with all the same rigor and discipline that characterizes all sound investing.